Robin Williams, the iconic comedic actor who died Monday, was in the early stages of Parkinson's Disease at the time of his death, according a statement from his wife. Robin Williams, the iconic comedic actor who died Monday, was in the early stages of Parkinson's disease at the time of his death, according to a statement from his wife. Williams, 63, died of suicide at his Tiburon, Calif., home, according to local police. Can Robin Williams's death change how we talk about suicide? Susan Schneider released a statement Thursday revealing that as well as depression, her husband was also struggling with a Parkinson's diagnosis. Actor Michael J. Fox, who has long had the disease, is known for his efforts to fund research into it. He tweeted his shock at the news Thursday, saying Williams had supported the cause before his death. On mobile? See Michael J. Fox's tweet here. Parkinson's disease is a neurodegenerative disease that most notably affects a person's movements, according to the Parkinson Society of Canada. According to the Parkinson's Disease Foundation, about a million people in the U.S. suffer from the disease, with men being one and a half times more likely to get it. Almost 100,000 Canadians have Parkinson's. Currently there is no known cure but patients can live with the disease for many years. Pop star Linda Ronstadt revealed in 2013 that she had Parkinson's and said the disease had robbed her of her ability to sing. Boxer Muhammad Ali, the late radio personality Casey Kasem and the late Pope John Paul II are among other well-known figures diagnosed with the disease. Symptoms are often treated with medication and various forms of therapy including physical therapy, occupational therapy, exercise and speech therapy. Some people with Parkinson’s may benefit from surgery. Parkinson’s progresses at a different rate for each person. But the Parkinson Society of Canada says that as time goes on "non-motor symptoms may also appear, such as depression, difficulty swallowing, sexual problems or cognitive changes." Dr. Tanya Simuni, director of the Parkinson's Disease and Movement Disorders Center at Northwestern University's medical school in Chicago, said patients often react to the diagnosis with surprise and despair. Depression is often present even in early stages and can sometimes precede tremors that help doctors make the diagnosis, Simuni said. Referring to Williams, she said it's important to emphasize that not everyone who is depressed is at risk for Parkinson's, "especially in this tragic case." She noted that many can live for years without severely debilitating symptoms, but also that 20 years after diagnosis, as many as 80 per cent develop dementia. Antidepressants are among drugs commonly prescribed for the disease, along with medication to help control jerky movements. Dr. Christopher Gomez, neurology chairman at the University of Chicago, said while it makes sense to think that a diagnosis could make someone feel depressed, depression and Parkinson's have a deeper, more organic connection. They are thought to affect the same regions of the brain, although their neurological relationship isn't well understood, he said. "It's downright curious that there's so much depression in Parkinson's," Gomez said. 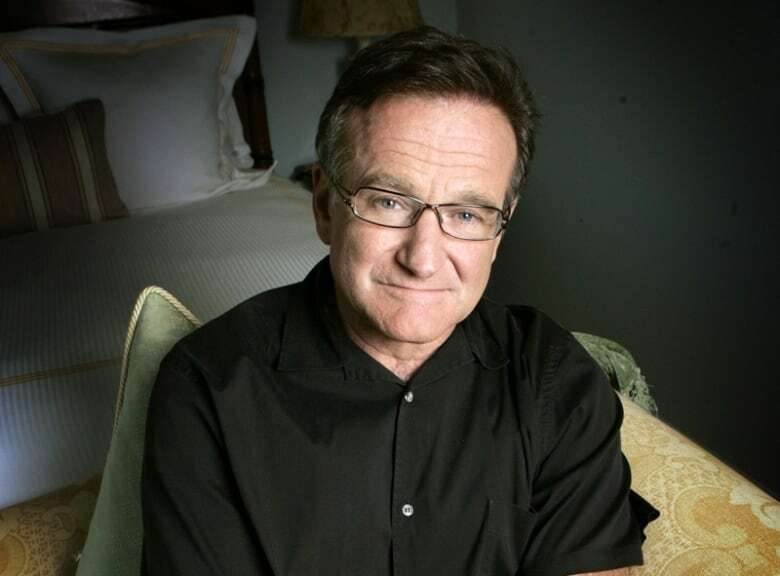 Robin Williams had been battling severe depression recently, said Mara Buxbaum, his press representative. Just last month, he announced he was returning to a 12-step treatment program he said he needed after 18 months of nonstop work. He had sought treatment in 2006 after a relapse following 20 years of sobriety. He was last seen alive at home about 10 p.m. Sunday, according to the Marin County coroner's office. Shortly before noon, the Sheriff's Department received an emergency call from the home, where the star of Good Will Hunting, Mrs. Doubtfire, Good Morning, Vietnam and dozens of other films was pronounced dead. Sheriff's officials said a preliminary investigation determined the cause of death was suicide due to asphyxia. Schneider and Williams married in 2011. Williams had three children: Zachary, 31, Zelda, 25, and Cody, 19.